The lymphatic system is part of the circulatory system and a vital part of the immune system, comprising a network of lymphatic vessels that carry a clear fluid called lymph from Latin,lympha meaning "water"directionally towards the heart. The lymphatic system was first described in the seventeenth century independently by Olaus Rudbeck and Thomas Bartholin. 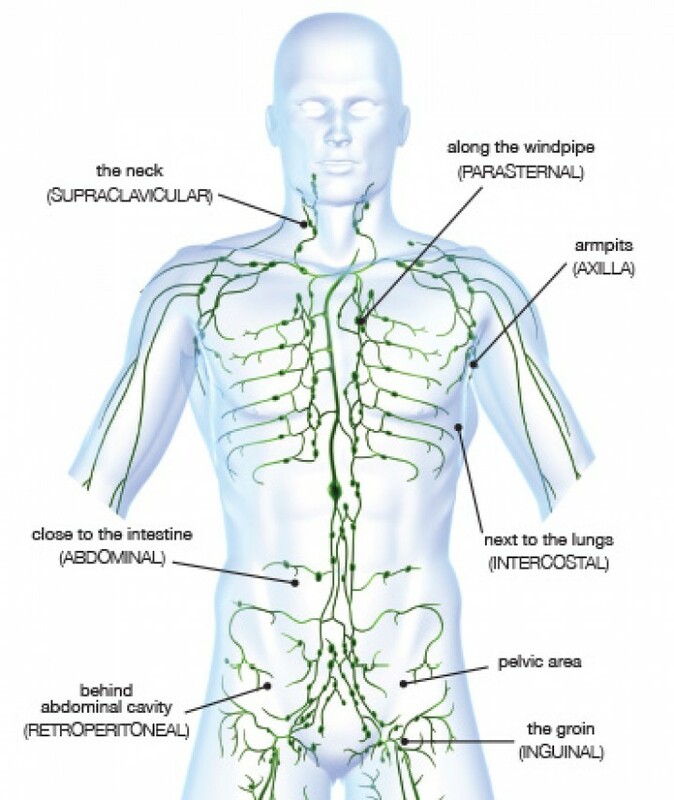 Unlike the circulatory system, the lymphatic system is not a closed system. The human circulatory system processes an average of 20 liters ofbloodper day through capillary filtration, which removes plasma while leaving the blood cells. Roughly 17 litres of the filtered plasma are reabsorbed directly into the blood vessels, while the remaining three litres remain in the interstitial fluid. One of the main functions of the lymph system is to provide an accessory return route to the blood for the surplus three litres. 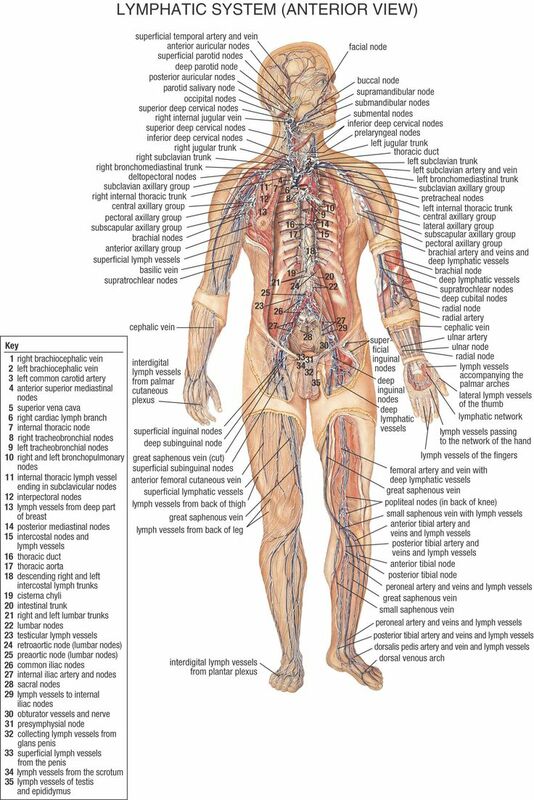 The lymphatic system, or lymph system, is similar in many ways to the blood circulatory system, in that it involves an extensive network of vessels that traverse almost all our tissues to allow for the movement of a fluid called lymph. This fluid drains through these lymphatic vessels in a way that is very similar to the return of blood along the veins back to the heart. 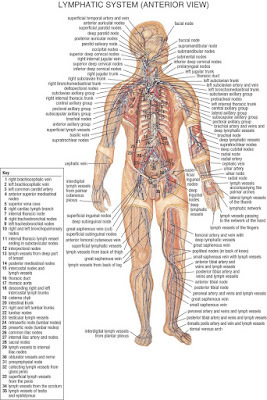 The lymphatic system comprises lymph vessels, ducts and nodes, as well as other tissues as described below. The lymphatic system works in a similar way to the blood circulatory system, and in close parallel as blood returns to the heart and lymph drains towards the heart. The lymphatic vessels form a network of branches that infiltrate almost all the body's tissues. These vessels are an accessory to the veins for returning fluid from the tissues.2-6 Its resemblance to the blood circulation system specifically relates to the venous return of blood to the heart. There is no active "pumping" of lymph a clear fluid derived from blood plasma but the lymph is pushed back from the peripheries to the center in a way similar to how blood is returned to the heart. Lymphatic fluid moves through the vessels by being squeezed when we consciously use our skeletal muscles, and by the movement of the smooth muscles when we breathe or perform other involuntary actions. The properties of the lymph vessel walls and the valves help control the movement of lymph.Like veins, lymphatic vessels have regular valves inside them to stop the back flow of fluid. Lymph is drained progressively towards the larger and larger vessels until it reaches the two main channels, the lymphatic ducts in our trunk, where filtered lymph fluids can be returned to the venous blood. The lymphatic system's vessels branch through junctions called lymph nodes.These nodes are often referred to as glands, but they are not true glands as they do not form part of the endocrine system. Lymph nodes are not the only lymphatic tissues in the body - the tonsils, spleen and thymus gland are also lymphatic tissues.Tonsils are located at the back of the mouth and are responsible for producing lymphocytes (a type of white blood cell) and antibodies. Their position - hanging down from a ring forming the junction between the mouth and pharynx - is strategic for protection against inhaled and swallowed foreign bodies. The tonsils are the tissues affected bytonsillitis, an inflammatory condition common in children.The spleen does not filter lymph- it is not connected to the lymphatic system in the same way as lymph nodes. It is a lymphoid tissue, however, with a role in the production of white blood cells that form part of the immune system. The spleen's other major role is filtering the blood to remove microbes and old and damaged red blood cells and platelets.The thymus gland is a lymphatic organ and an endocrine gland.This means that it secretes hormones, as well as being crucial in the production and maturation of immune cells. The thymus gland is active in developing the immune system from before birth and through childhood. The bone marrow is not lymphatic tissue in the same sense as the tissues above, but it can be considered part of the lymphatic system because it is responsible for maturation of the B cell lymphocytes of the immune system. For completeness, it should be noted that the liver of a fetus is regarded as part of the lymphatic system due to its involvement in lymphocyte development. Fluid homeostas is One of the major roles of the lymph vessels is to maintain fluid balance, returning excess fluid and proteins from the tissues that cannot be returned via venules and veins. The fluid is found in tissue spaces and cavities, in the tiny spaces surrounding cells (the interstitial spaces) reached by the smallest blood and lymph capillaries. Some 90% of the plasma arriving at tissues from the arterial blood capillaries is returned by the venous capillaries and back along veins; the remaining 10% is drained back by the lymphatics. The amount of lymph returned each day amounts to a total of around 2-3 liters, and this fluid includes proteins that are too large to be transported via the blood vessels. While not as immediately fatal as failureof blood circulation, loss of the lymphatic system would lead to death within a day. Without the lymphatic system and draining excess fluid our tissues would swell greatly, causing lost blood volume and pressure. Absorption The lymphatic system takes up fats from the small intestine through the activity of tiny lacteals. Almost all of the fats absorbed from the gastro intestinal tract are taken up in a part of the gut membrane in the small intestine that is specially adapted by the lymphatic system. The lymphatic system has tiny lacteals in this part of the intestine that form part of the protruding structures (the finger-like villi) produced by the tiny folds in the absorptive surface of the gut. Lacteals absorb fats and fat-soluble vitamins to form a milky white fluid called chyle. This fluid, which contains lymph and emulsified fats, or free fatty acids, delivers nutrients indirectly when it reaches the venous blood circulation. Blood capillaries take up other nutrients directly. Lymphatic system function: the immune system. The lymphatic system forms a major part of our immune response to the continual exposure to micro-organisms. Some such organisms are potentially harmful and even fatal as there are some infections that our immune system is not equipped to deal with. Competition posed by the so-called friendly organisms in the body that are normally not harmful and are often beneficial. 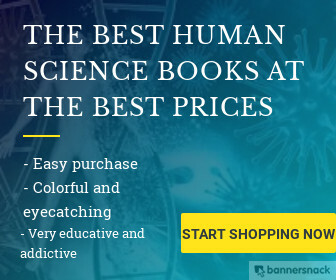 Despite the effectiveness of these barriers, numerous pathogens do successfully invade the body, whereupon they can cause infection if they are not promptly dealt with by the immune system. A number of different immune cells and special molecules work together to fight off these pathogens, with complex cascades of immune activity designed to recognize anddestroy the foreign material. The lymphatic system plays a key role in this activity as lymph fluid containing foreign organisms is drained from the tissues and is presented to immune system cells. These cells can then form antibodies to pathogens or produce antibodies from memory if they have previously encountered the specific pathogen. Lymph is filtered by the lymph nodes and other lymphoid organs. The lymph nodes provide an environment for immune cells known as lymphocytes a type of white blood cell to first encounter pathogens, communicate with each other and set off aspecific response to these antigens. Activated lymphocytes then get trafficked further up the lymphatic system so that they can reach the bloodstream, equipped to disseminate the immune response right around the body via the blood circulation. The lymphatic system and the action of lymphocytes, of which the body has trillions, form part of what immunologists call the "adaptive immune response" highly specific and long-lasting responses to particular pathogens. Adaptive immunity is much more sophisticated than the "innate immune response" that we also employ and that invertebrate animals rely on alone to mount a non-specific response to pathogens- our innate immunity includes"phagocytic cells," which ingest and destroy microbes.